A new event aimed at educating police on spotting and tracing stolen banknotes is to be held in the West Midlands later this month, with a range of interesting presentations planned to showcase the technology used to reduce the number of stolen notes in circulation. The event is hosted by crime prevention initiative, Banknote Watch, which aims to prevent criminals from profiting from the proceeds of crime by raising awareness about the provenance of stained notes, and encouraging their withdrawal from circulation. 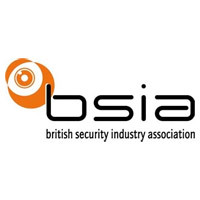 The organisation unites the manufacturers, installers and users of cash degradation systems with the Government and Police, and is supported by a number of industry bodies including the British Security Industry Association (BSIA). The event is also supported by West Midlands Police CID Crime Reduction Unit and ACPO Secured by Design. Taking place on Monday 17th March at Tally Ho in Birmingham – the police training centre for the West Midlands region – the event is open to investigators, CID officers and investigation teams involved in serious crime and cash recovery, with presentations covering the whole detection process from start to finish. Presentations from leading producers of forensic marking technology – which is used to help police detect the origins of stolen notes and identify those involved in their theft – will provide a greater insight into the use and analysis of dye staining and glue bonding to increase the removal of stolen notes from circulation. Wider information on the techniques used by criminals to obtain stolen cash will also be delivered, increasing police knowledge of the wider implications of cash crime. Exhibition stands demonstrating the technology applied in cash and ATM security will also be on hand to provide officers with hands-on practical experience.